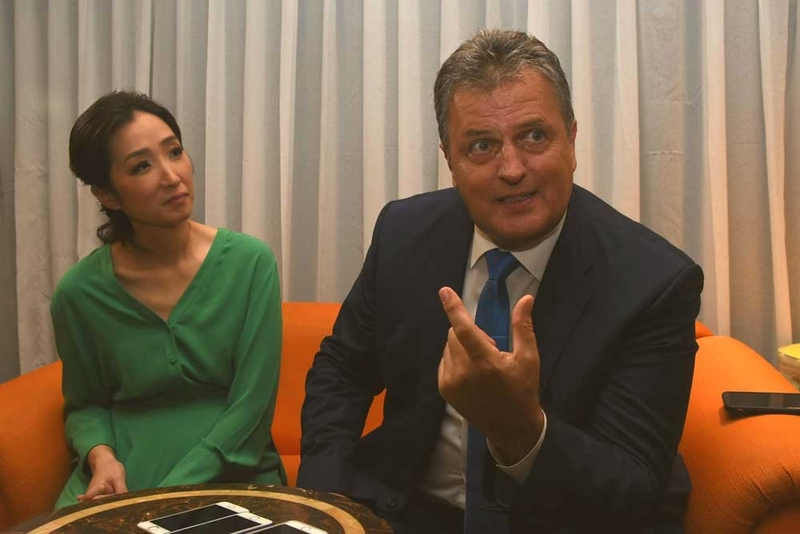 FOLLOWING the opening of its Cebu consulate office last Wednesday, the Hungarian government aims to boost ties with the Philippines in the areas of technology, agriculture and tourism. The state of Hungary led by its ambassador to the Philippines József Bencze led the opening of Hungary’s consular office, after over 20 years of absence in the Philippines. The country appointed entrepreneur Enrilen Joy Benedicto-Tan as its honorary consul in Cebu. Tan holds several managing director positions in real estate, construction, furniture and agricultural firms. She is the daughter of Consul ad honorem of Belgium Enrique Benedicto and niece of Ambassador Francisco Benedicto. Tan said her role is to assist and protect the citizens of Hungary while they are in Cebu and Philippines, and to facilitate trade and friendship between Filipinos and Hungarians. Hungary’s Embassy in Manila reopened last March 2017 since its closing in 1995. After Cebu, Bencze told reporters Hungary will also open another consulate office in Davao. The ambassador expressed confidence and optimism of Hungary and the Philippines to build stronger diplomatic and economic ties. Bencze said they aren’t like other countries which throw criticisms at anoother nation’s way of running its government as it is not their business. “We are a friendly country,” he said. Bencze identified tourism, agriculture, transfer technology (for water) and education as among the areas that Hungary and the Philippines could work together. According to DTI data, merchandise trade with Hungary rose at a compounded annual rate of 4.67 percent from 2006 to 2016. In 2016, the value of Philippine exports reached $163.93 million and imports at $16 million. In terms of tourism, Cebu is identified as among the top destinations of Hungarians when they visit the Philippines alongside other beach destinations like Bohol, Boracay and Palawan. According to Bencze, Hungarians are long-staying guests that stay up to two-weeks when on a vacation. Besides the Philippines though, they also visit other tropical countries like Indonesia, Singapore and Cambodia during winter season. The ambassador also hoped to strengthen the country’s cooperation in technology transfer for agriculture and water. He said both countries have immense opportunities in sharing best practices and technology for these two sectors. Bencze also announced they are open to Filipino students who wish to pursue graduate and post graduate students in Hungary. Last year, Hungary and the Philippines inked four bilateral trade and cultural agreements, including the sending of 35 Filipino students to Budapest yearly.